I am not sure if I am able to meet the deadline for this one – see picture below (sorry for the bad quality…better ones are following!). After a super busy couple of weeks I am trying to figure out if I should ‘push hard’ to finish the artwork or just ‘let go’ and take a day off, doing nothing, enjoying the sun?!? Maybe I feel more energized once I am back home (right now I am sitting in a Cafe). This piece is for the exhibit at the Goethe Institut. It’ll be a book that once it is fully opened can be displayed like a hanging piece, either against a wall or in the room so one can walk around it. The title is ‘Klabautermann’ – that’s a type of kobold who lives aboard ships and helps sailors and fishermen on the Baltic and North Sea in their duties. The belief in Klabautermanns dates to at least the 1770s! 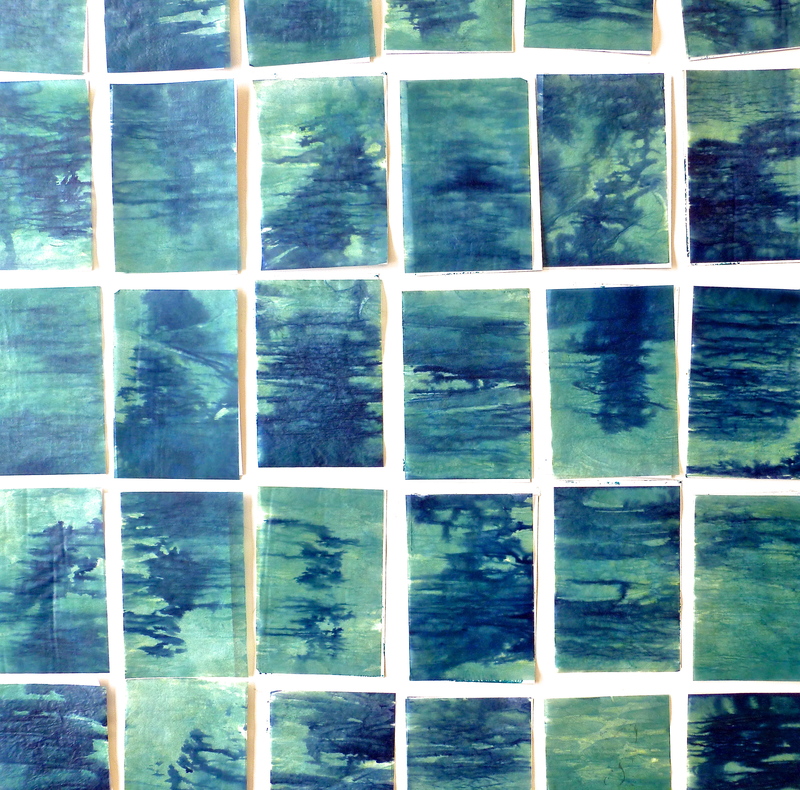 The picture shows part of the piece – far from being done – under the water, under the sea ….